Ballistic missiles repeatedly fired by the Houthi rebels in Yemen against Saudi Arabia might be more than a mere retaliation against the kingdom for leading an Arab coalition against them to restore the legitimately elected Yemeni government to power, according to observers and diplomatic and military sources in the Arabian Gulf. “The Houthi ballistic missiles could be an attempt by the party (Iran) providing them to the rebel militia to either trigger a bigger regional conflict or to test the missiles’ performance and efficiency against US-supplied missile defence systems deployed in Saudi Arabia,” according to a Western diplomat based in the region. In the past couple of months Houthis have increased the frequency of firing the ballistic missiles against Saudi Arabia in an apparent reaction to the major advances the Saudi-led coalition has made on the ground in the same period, progressively edging towards the capital Sanaa and the Houthi stronghold of Sa’adah. According to the Saudi-led Arab Coalition and press reports the Houthis have fired at least 90 ballistic missiles against targets in Yemen and Saudi Arabia over the past three years of the Yemeni war. In the past, Houthi-fired ballistic missiles were limited to ranges of around 350 km, but since November 2017 the Houthis have been launching ballistic missiles with ranges of up to 800 km – placing the Saudi capital, Riyadh, within reach. The United Nations is investigating allegations made by representatives of the United States and Britain at the Security Council that Iran was the source of ballistic missiles being used by the Houthis. The US Ambassador to the UN Nikki Haley presented fragments of a ballistic missile that crashed near Riyadh, stating they constituted solid proof that Iran was smuggling weapons to the Houthis in violation of UN Security Council resolutions that forbade Tehran from exporting such weapons. Iran has denied the charges. 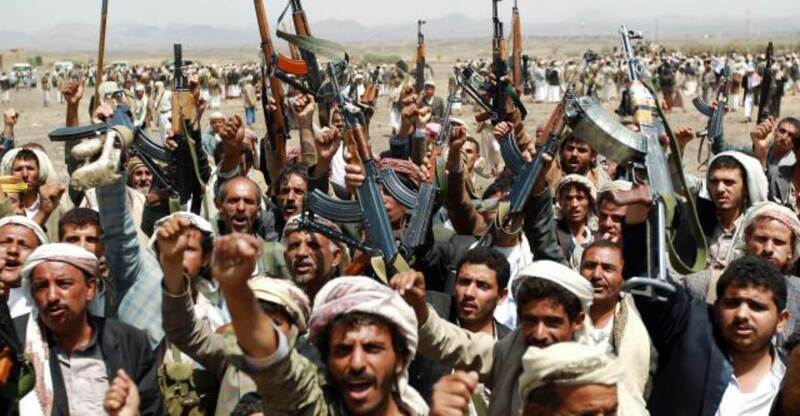 However, a growing number of observers and officials in the region and the West have asserted that Iran has indeed been supplying Houthis with various types of weapons. Several ships carrying Iranian weapons to the Houthis were intercepted by Arab and Western naval ships in the Red Sea and in Gulf waters over the past two years. Moreover, Iranian officials have boasted about aiding Houthis and supplying them with missiles like the Zilzal-3. “Why has Iran supplied more advanced ballistic missiles with a longer range to the Houthis knowing the possible consequences of such a move?” asked a Western diplomat in the region. “Tehran knows that if these missiles do hit a strategic target in Riyadh, the Saudis might retaliate against Iranian targets. So why take such a chance?” In November 2017, Houthis claimed to have launched a cruise missile against the United Arab Emirates’ capital, Abu Dhabi. but the missile fell some distance short of its target. According to a senior military official in the Saudi-led coalition, messages were passed to Tehran via diplomatic channels that if any of the Houthis’ ballistic missiles hit strategic targets in any of Arab Gulf capitals they will retaliate against Iran directly. Some Western diplomats worry that the Iranian Revolutionary Guards might be seeking to widen the conflict in Yemen into a limited regional confrontation with the Arab Gulf States in order to escape growing domestic turmoil, push oil prices dramatically upward and improve the position of their Houthis allies in Yemen. 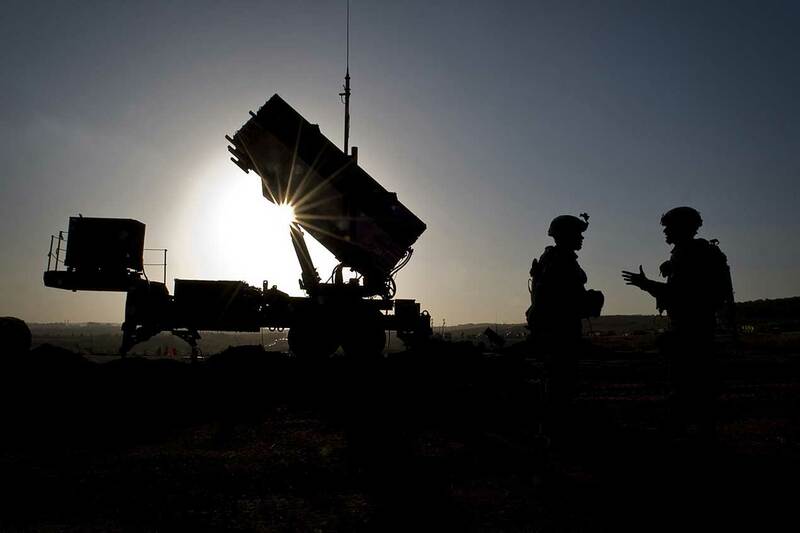 Saudi Arabia and the UAE both operate the Patriot Pac-3 missile defence system as the main line of defence against ballistic missiles. Iran has an advanced ballistic missile programme that is now a serious cause of concern to the United States and other countries in Europe and the Middle East. Iran continues to conduct missile tests despite a UN Security Council ban on the testing of missiles believed to be capable of carrying nuclear warheads. Iran is believed to have conducted some 23 missiles tests since the signing of the nuclear agreement better known as the Joint Comprehensive Plan of Action (JCPOA) with the five permanent representatives to the Security Council plus Germany. Many regional officials and observers do not discount the possibility of Iran using Yemen as a testing ground for its missiles, which means Iran has actually conducted way more than the recorded 23 official missile tests on Iranian territories. The US Administration of Donald Trump is now demanding a full review of JCPOA to add clauses imposing restrictions on Iran’s advancing ballistic missile programme. Washington has threatened to walk away from JCPOA if the agreement is not amended. It is not yet clear whether Iran has agreed to renegotiate the agreement. But so far it appears to be the only way to salvage a deal that ended international sanctions against Iran and eased huge pressure on its economy. Riad Kahwaji, is the founder and director of INEGMA with 28 years of experience as a journalist and a Middle East security analyst.